International conflict and policy analyst with a strong commitment to strategic peacebuilding. She was a Fulbright Scholar in the Kroc Institute for International Peace Studies, University of Notre Dame, in the academic year 2014-2015. 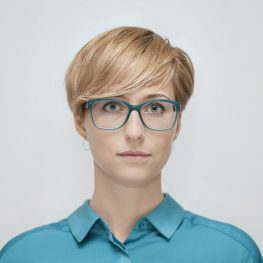 Since 2010 she has been working in the National Security Bureau of Poland, currently as a Senior Analyst in the Strategic Analysis Department, focusing on international peace and security organizations and NATO/UE-Russia relations; till 2014 she was responsible for Russia and Central Asia. In 2015 she conducted her field research and cooperated with human rights organizations in Israel/Palestine. Since 2016 she has been teaching at Collegium Civitas in Warsaw, Poland. She authored several publications on Russia’s foreign and domestic policies, wars in the North Caucasus and the conflict in Ukraine. She graduated from Lazarski University, Warsaw (BA and MA in International Relations), and University of Notre Dame, IN, USA (MA in Peace Studies).